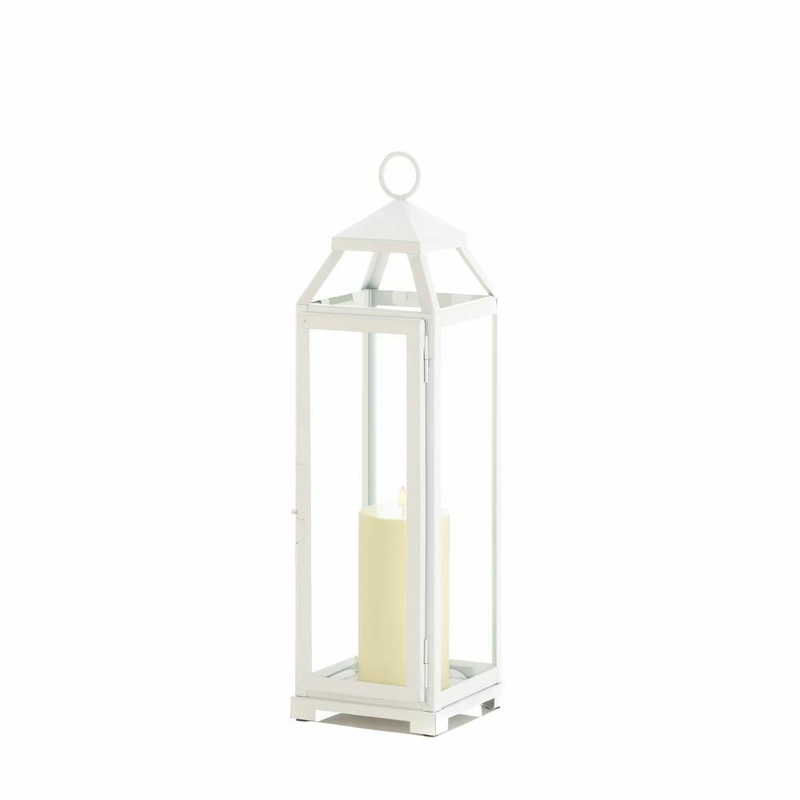 Bring a cool and calming accent to your lighting decor with the charm of this large country white candle lantern. 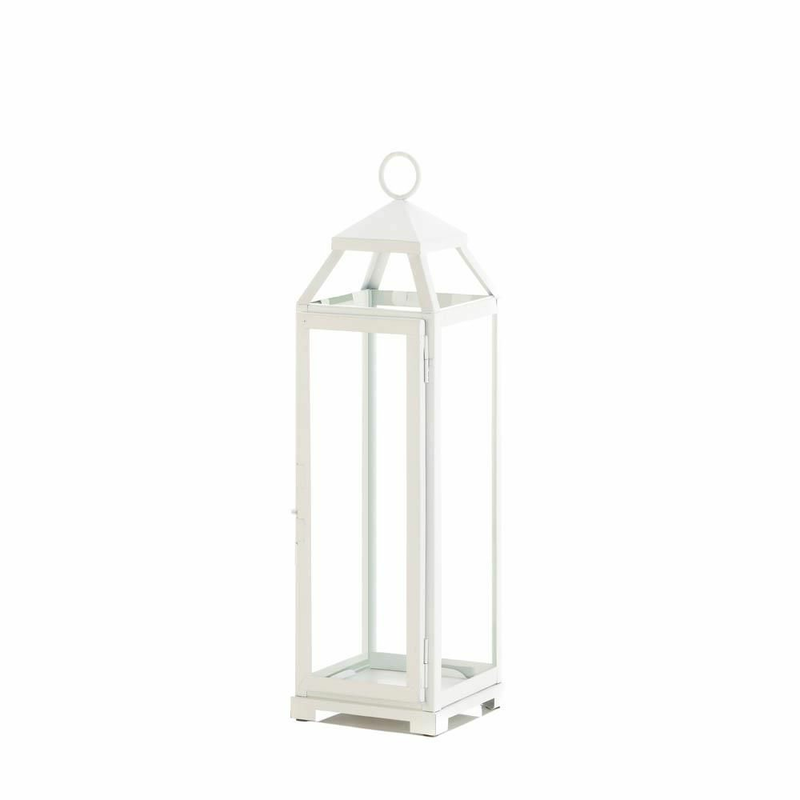 This lighting solution will channel elegance into your home, creating an ambiance that makes a fine addition to the office, bedroom or patio. 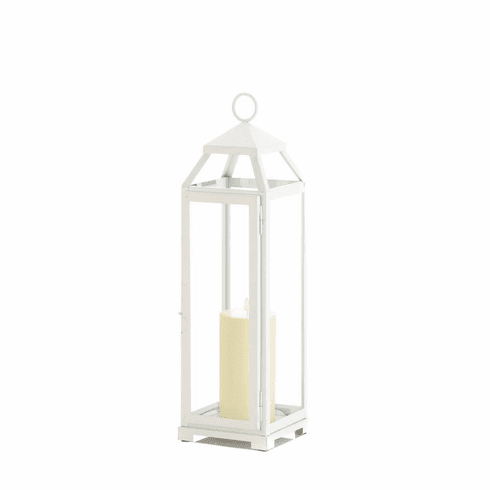 Add a candle of your choice and hang in the patio or find your favorite spot indoors. Candle not included. Weight	3.4 pounds. 5.5" x 5.75" x 19". Iron, Glass. UPC Number: 849179038007.